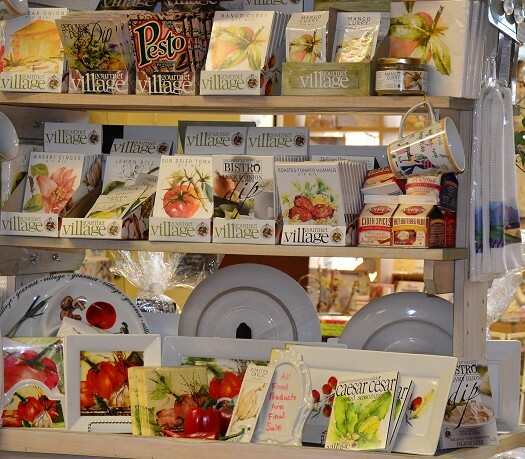 Welcome to Victoria's Cupboard, Thunder Bay's most beautiful gift store. 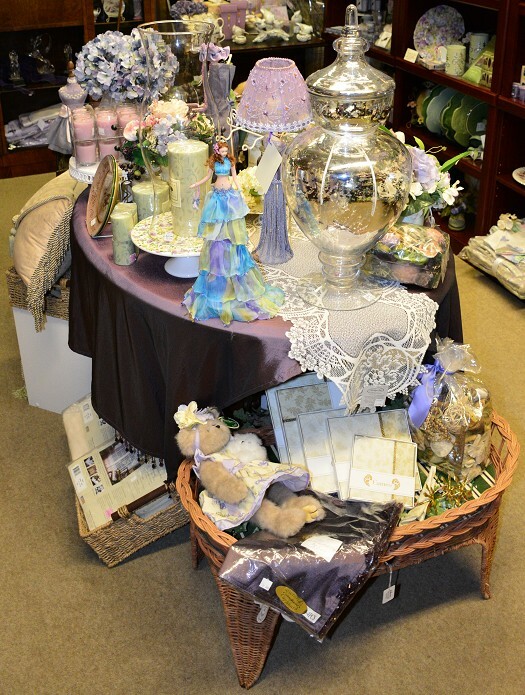 This cozy store has beautifully crafted gifts such as china, floral arrangements, angels, pictures, pillows, candles, cards and so much more. 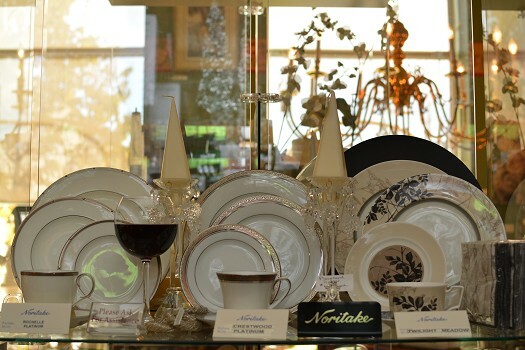 Whether you're looking for that special wedding gift, birthday or anniversary gift, or perhaps a new piece for your home, Victoria's Cupboard will provide you with a fanastic selection. 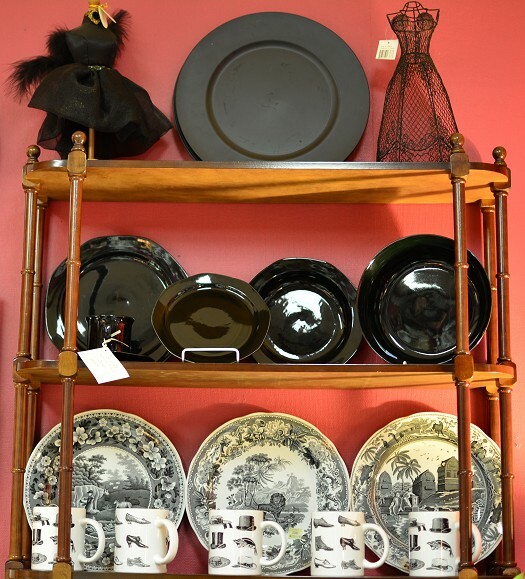 Antiques, contemporary pieces - you'll find amazing treasures throughout our "Rooms of Colour." 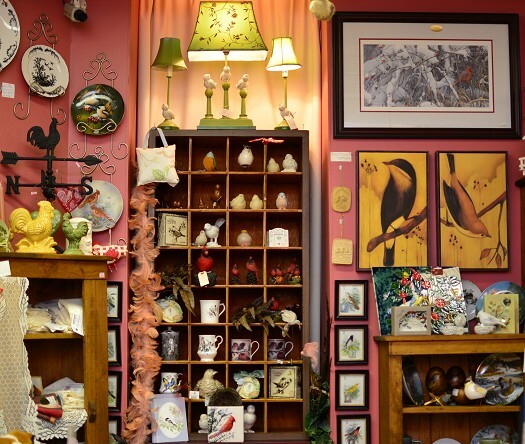 Come in and take a tour through our beautiful, cozy gift store arranged by " Rooms of Colour." 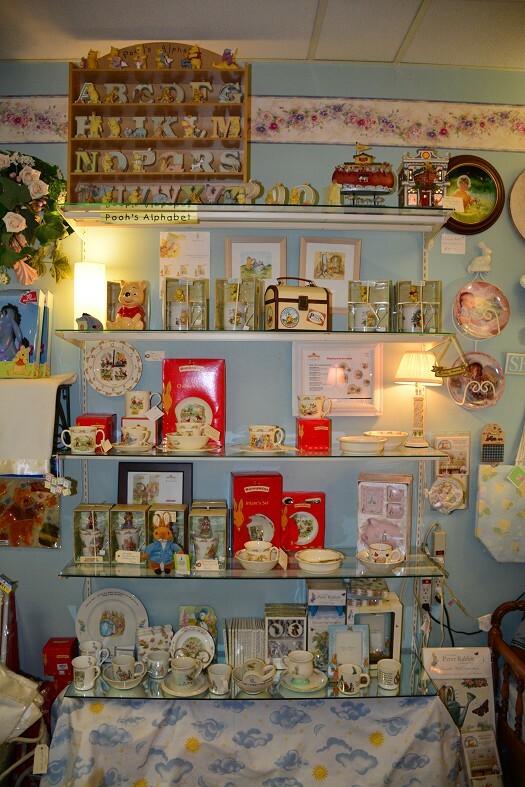 Whether you are looking for a special decorator piece for your home or you are searching for a shower, wedding, anniversary or other special occasion gift, come to Victoria's Cupboard - the experience will be worth it! Take a tour of the "Rooms of Colour" by selecting one of the links below. 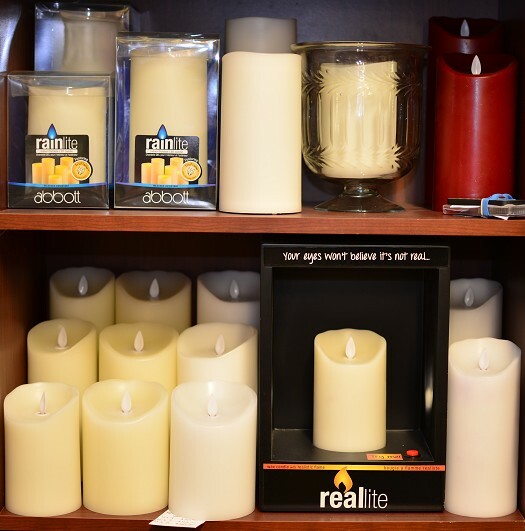 Come visit the "Great Room" of Victoria's Cupboard where you will experience the wonderful scents of aromatherapy oils, beautiful gifts, cards, and the serene, easy listening CD's and cassettes. Click on the picture to enter the "Great Room"
Visit the "Sage Room" where you'll find beautifully scented candles, china, tapestry & pillows, and feel the relaxing atmosphere created by the Mist Maker. Click on the picture at your left to enter the "Sage Room"
When visiting the "Rose Room" you can't help but notice the floral arrangements, bridal bouquets, cherubs, teddy bears and velvet pillows. Stop by the "Rose Room." Click on the picture to enter the "Rose Room"
Looking for something blue? You'll be sure to find it in our "Blue Room" jam-packed with Rose Brocade Porcelain china, decorative plates, Bearington Bears, Asiatic Pheasant, blue willow, flow blue, and wedgewood blue. To enter to Blue Room, click on the picture. A wide array of treasures can be found in the "Cranberry Room." Angels, pictures and frames, floral rugs, candles, lace toppers are just a few worth mentioning. 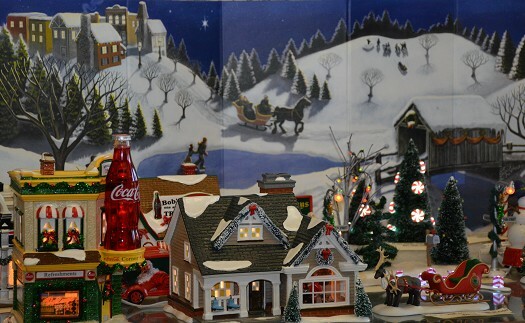 Click on the picture to see the other treasures in the "Cranberry Room." You won't be disappointed when you stop by the "Lilac Room." It'll be far more than you expected with "Morning Glory" porcelain china, an antique washset, antique oak library table, violet accessories, and lavender scented products. Just click on the picture to enter the "Lilac Room." 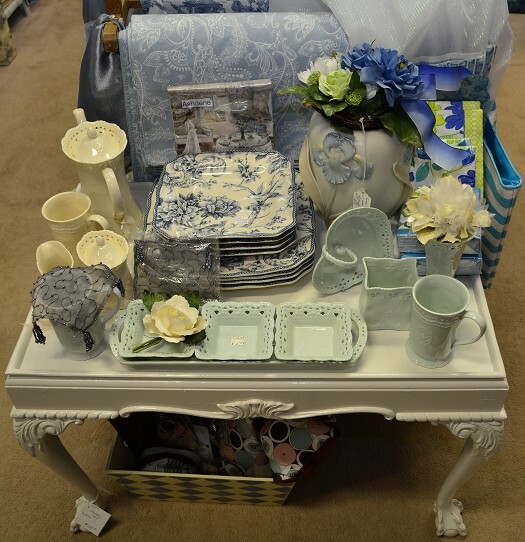 Visit the "Teal Room" when coming to Victoria's Cupboard and you'll find amazing products for your home. Find bunnies and bears to dress up your nursery or beautiful plaid table cloths, tulip vases and plenty more to give your home that special touch. To enter the "Teal Room" click on the picture. 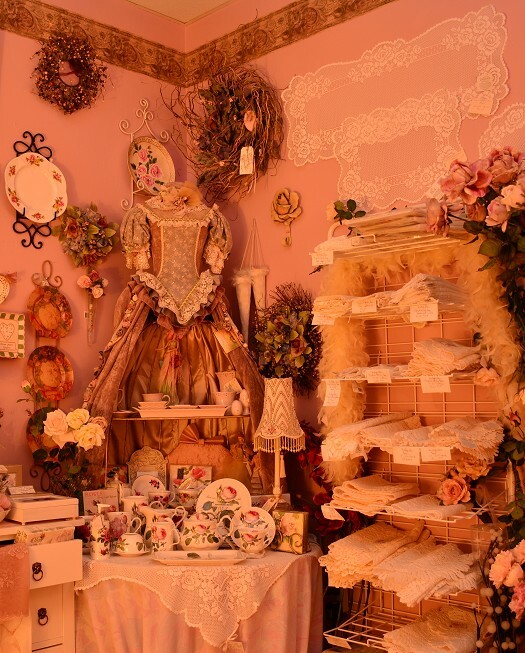 The apple scents will draw you into the "Gathering Room" where you'll find decorator plates, an antique blanket box, porcelain china, an antique spinning wheel, and valances, doilies as well as numerous other treasures. Just click on the picture to see what else is in the "Gathering Room." Even the hallways are treasure-filled at Victoria's Cupboard. If you're looking for that special piece, we think you might find it in "The Hallway." To take a stroll through "The Hallway" just click on the picture. The "8 Rooms of Christmas", on the 2nd Floor, are open from one week after Thanksgiving until December 24th (each year). To browse this site for that special item you're looking for, insert a short item description into the "Enter Search" box, select "GO" and a list of pages will be displayed for you to link to.